The Staff Selection Commission (SSC) is founded in 1975. It is a Government of India body which is responsible for the recruitment of the candidates in different Ministries and Departments of the Government of India and in Subordinate Offices. The SSC CHSL is conducted for the recruitment of the post Lower Divisional Clerk (LDC)/Junior Secretariat Assistant (JSA), Postal Assistant/Sorting Assistant and Data Entry Operator (DEO). The SSC CHSL NER Admit Card 2017 has been released on the official website. The candidates who have successfully submitted their SSC CHSL 2017 Application Form can download their SSC CHSL NER Admit Card by visiting the given link. By filling Roll No. 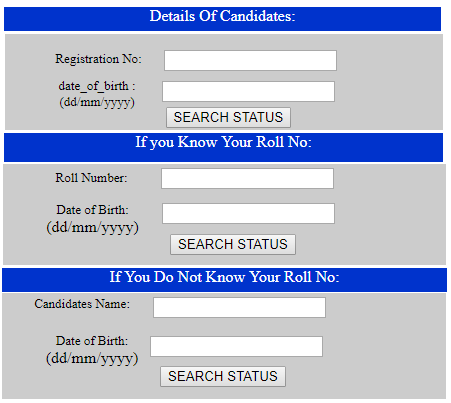 – The candidates have to fill Roll Number and Date of Birth to download their SSC CHSL NER Admit Card. By filling Registration No. – The candidates have to fill their Registration Number and Date of Birth to download their SSC CHSL NER Admit Card. By filling Name – The candidates have to fill their Name and Date of Birth to download their SSC CHSL NER Admit Card.